On September 9, 2015, the 23d International Symposium on Orthodox Spirituality was opened at the Bose monastic community, Italy, under the theme ‘Mercy and Forgiveness’. It is attended by representatives of Local Orthodox Churches, the Roman Catholic Church and Protestant communities as well as prominent theologians and specialists in church history. With the blessing of His Holiness Patriarch Kirill of Moscow and All Russia, a delegation of the Russian Orthodox Church led by Bishop Mitrofan of Severomonrsk and Umba takes part in the symposium. 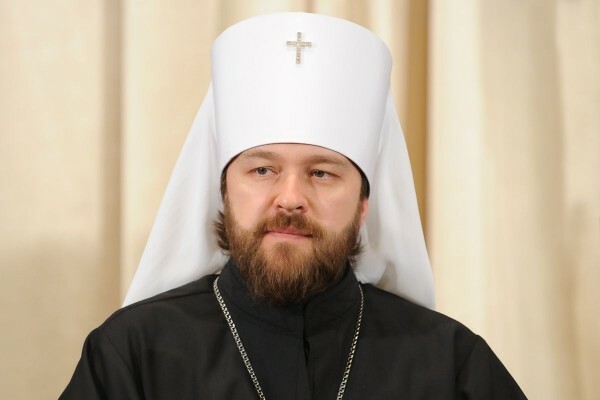 Metropolitan Hilarion of Volokolamsk, head of the Department for External Church Relations (DECR), has sent the following message of greetings to the participants in the symposium. On behalf of His Holiness Patriarch Kirill of Moscow and All Russia, I would like to cordially greet all the participants in the 23d International Symposium of Orthodox Spirituality organized by the Bose community and held under the theme ‘Mercy and Forgiveness’. The good news of our Lord Jesus Christ has revealed to the whole creation the boundless mercy and absolute forgiveness of our God the Heavenly Father. The Creator’s love of His created world enslaved by sin was expressed in the self-denial of the Son of God Who gave Himself for the sins of the world ‘so that all people be saved and come to a knowledge of the truth’ (1 Tim. 2:4). How inscrutably profound is the forgiveness of God given to the sinful man without any condition even before he repents (cf. Rom. 5:8)! God, like the loving father from the parable of the lost son, stands in anticipation on the way of he who ‘was dead and is alive again; he was lost and is found’ (Lk. 15: 20:24). ‘Be merciful, just as your Father is merciful’, says the Saviour to His disciples (Lk. 6:36). In these words there is a testimony to the highest dignity of man called to co-work with God. But is ‘the crown of the creation’ always equal to his calling? The natural environment of man, destroyed by irresponsible and consumer attitude to it, needs love and care for its salvation. According to St. Paul, ‘the creation waits in eager expectation for the children of God to be revealed’, for ‘the whole creation has been groaning right up to the present time, not only so, but we ourselves…’ (Rom. 8; 19:22-23). Today we are all witnesses to a trouble in international and social relations. The humanity should realize that wounds inflicted by hatred and animosity can be healed only by mercy and mutual forgiveness for the sake of peace, preservation of life and salvation of the future generations. This year the Russian Orthodox Church is marking the centenary of the blissful demise of the Baptizer of Rus’, the Holy Prince Vladimir Equal-to-the-Apostles, who has become a model of just and merciful ruler. Today as never before the modern world stands in need of similar examples of responsible and selfless commitment to the calling imbued with the spirit of Christian mercy. I would like to wish that today’s symposium may remind Christians with renewed force of their responsibility before the creation of God yearning for compassion and effective love. May the Lord’s blessing be with you all.